Measure has professional production workshops and great production technology. laser sensor we produce, in line with the national quality inspection standards, has reasonable structure, stable performance, good safety, and high reliability. It is also available in a wide range of types and specifications. Customers' diverse needs can be fully fulfilled.Measure produces laser distance meter based on the selected and quality materials. laser level are safe and easy for its users to operate. And they are solid and durable.Compared with similar products, the laser sensor produced by Measure has the following advantages. The laser level developed by Measure is widely used in Manufacturing Tools Hand Tools industry.Measure always pays attention to customers. According customers' actual needs, we could customize comprehensive and professional solutions for them.Measure has advanced production equipment and mature manufacturing technology. Besides, we run a scientific and perfect quality control system. All these ensure that each tool produced is a high-quality product. 3. 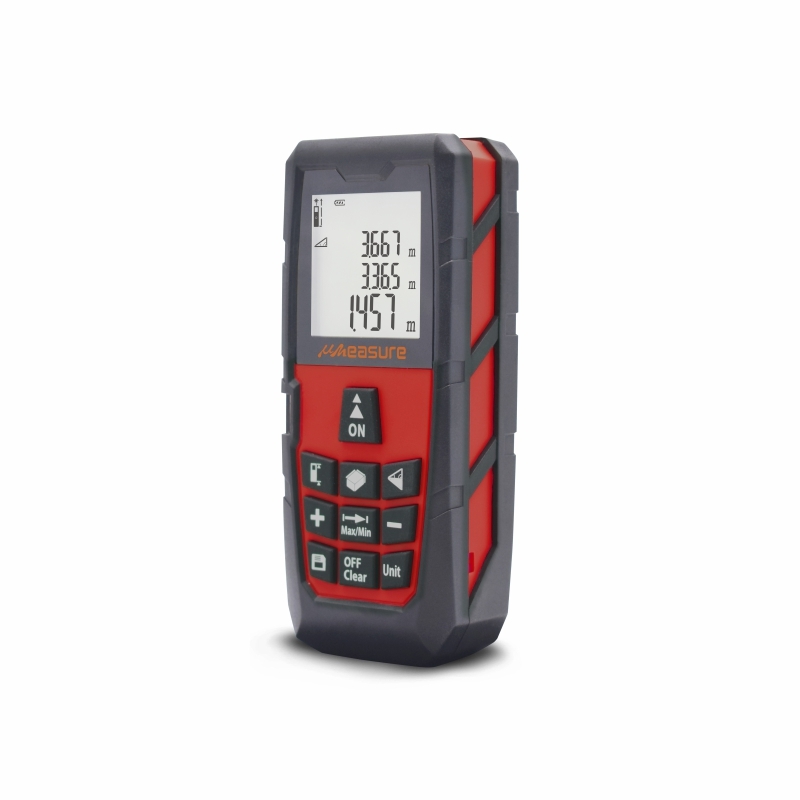 Its safety and security during operation are guaranteed, Zhuhai Measure Science and Technology Co.,Ltd Makes Sure That Our laser distance measurer, digital laser distance meter Is Of High Quality. High accuracy and wide measuring range up to 60m to meet your regular measuring need;Accuracy:±1.5mm. M/ In/ Ft switchable with large Bright backlight LCD display provides you with a better visibility in dark areas. Automatic calculation of area and volume. Auto correction and error report technology. 20 sets of historical data.The laser auto power off after 180s without any operation. With multiple measurement modes like distance, volume, area measurement, continuous measurement and measurement by Pythagoras, ideal electronic tape measure for home, construction and industries. Single/Continue/Area/Volume/Indirect/add/Subtract Measure Mode,Suitable for your needs.When in poor conditions, such as bright sunlight, just open the Enhanced Mode,it can be used to assist with accurate measurements. Lightweight and portable size with hand strap and bag lets you hold the laser distance meter and carry easily.Carrying pouch that comes with digital measuring tape permit you to hang on pocket and keeps the laser meter off dust. 1. 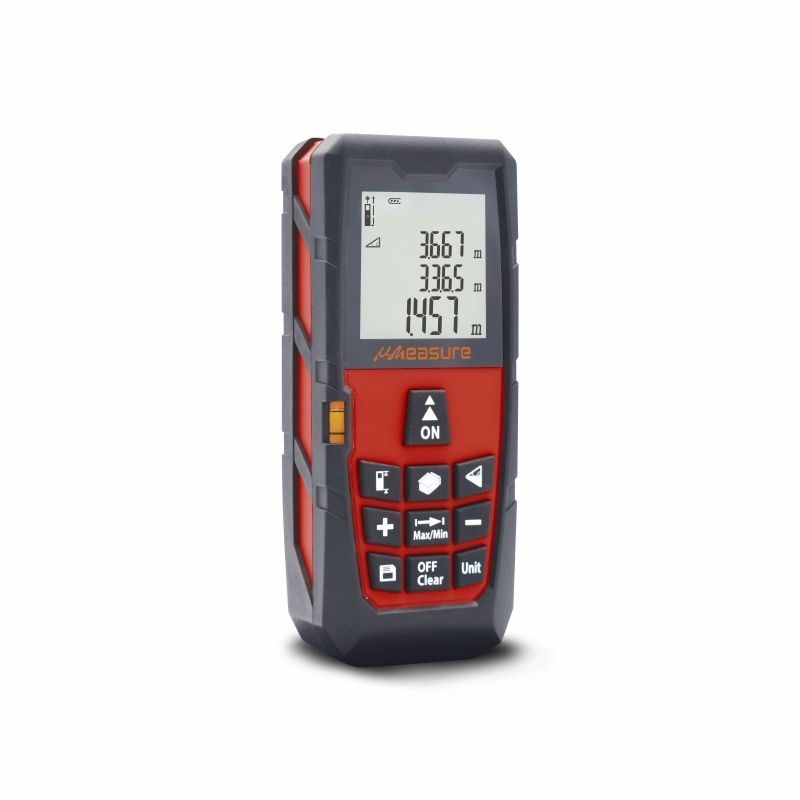 As a renowned company in the industry of laser distance measurer, laser distance meter is playing a big role in international stage. - Zhuhai Measure Science and Technology Co.,Ltd is well-known in the domestic laser measuring tool products market. 2. We are a laser range meter company specialising in the creation of high quality hand made laser meter. - Our stringent quality control protocols guarantee that our laser tape measure reviews fit and perform flawlessly, piece after piece. 3. Whether you need help with laser measuring tape price, we can work around you and your requirements. Ask! - In Zhuhai Measure Science and Technology Co.,Ltd, we are committed to give you the kind of service that you need and expect. Ask!